My chillis are beginning to grow! It seems so late in the year, but they may have, very thoughtfully, been planning their readiness to coincide with the tomatoes being ready. I say that because, today, I glimpsed a tint of red in amongst all the greenery. I have so many tomatoes - almost all of them some variety of cherry tomato - and I am desperate for some red. When our Romanesco and Cauliflower were ready so early this year, I thought I'd plant more seed and try planting more seedlings. Here are the seedlings just now. It may be too late to plant them this year, but hopefully I will have taken note and next year, I shall have seedlings ready to put into the ground when the other plants are harvested. I planted two varieties of Cauliflower this year: Winter Pilgrim and All Year Round. The Winter Pilgrim is still in the ground and has some way to go before it's ready for lifting. I guess that fits with its name. The All Year Round is the cauliflower we've already lifted and either eaten or frozen. It was ready so quickly - I reckon it was only in the ground (from seedling stage) for around 5-6 weeks. This would be the variety I'd have ready for re-planting next year. The carrots on the right of this photo also have two varieties. They both look similar, but the row nearest the middle of the photo is producing short, stumpy carrots, whereas the other two rows have long, straight carrots. Now generally in this life I have nothing against short and stumpy. Short is just fine. But not with carrots. Yet another note to take for next year. If I don't get around to writing all these tidbits of information in my notebook, this blog will be my source of reference come next March. Yet another proof of the usefulness of the blog. You like the cabbage? We didn't plant so many this year, and now we're kind of sorry. For some reason, I didn't sow any red cabbage seed, and I'm really sorry about that now. Oh well, we live and learn. At the moment, the main work in the plot is weeding. There is so much of it to be done, and it simply never ends. ... and they are delicious. 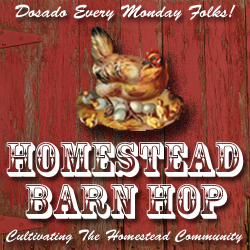 I'm linking today to Homestead Revival's Bloghop. Very, very nice and leafy green! I remember trying to follow instructions that were precisely given about covering those carrot seeds very lightly with soil! It worked. Phew. Enjoy. The produce you have is looking wonderful. We've had a few red tomatoes so far, but need some sunshine to ripen up the rest. We have baby cucumbers, peppers and courgettes too. Yours looks so organised and neat! Love the pictures. I can look and look at vegetables growing. They are beautiful. I am hoping we get our tomatoes to turn green too. Earlier this summer it was too hot for them, and they wouldn't flower or fruit... now there is fruit coming but nothing red yet. We are getting lots of peppers as well, and plenty of beets, potatoes, spaghetti squash, pumpkins, of course zucchini and cucumber as well as some herbs. I have replanted carrots, and green onions and spinach and chard, which is all doing well, and ready to start eating (carrots could use a little more time). Are those white carrots in the picture? I love the cabbage... wow is that beautiful... I didn't get any cabbage planted. So sad. Yes, I agree, the blog can be helpful that way. Thou shalt not covet thy neighbor's garden..."
Sigh. I only wish you were my neighbor, then I could maybe freeload some of those awesome veggies!